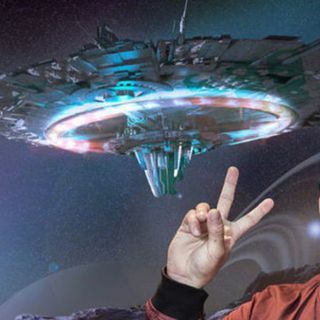 Former Blink-182 guitarist Tom DeLonge will executive produce a new History Channel mini-series about the government’s secret UFO program, Unidentified: Inside ... See More America’s UFO Investigation. The six-part series is expected to premiere in May. Unidentified will be centered around an interview with Luis Elizondo, the former military intelligence official who helmed the Pentagon’s Advanced Aerospace Threat Identification Program until it was shuttered in 2012. Elizondo was one of the primary sources in The New York Times’ 2017 report about AATIP, where he researched and investigated “Unidentified Aerial Phenomena” (after retiring from the Pentagon, Elizondo joined DeLonge’s To the Stars Academy). Is he just using UFOLOGY to fund his Sekret Machines media company?